A friend was coming back to Hong Kong after another long period of wandering around the globe in search of good eats, and her first request was to be taken to my favorite private dining space. Our organizer very kindly rounded up a group of us and worked out the menu to welcome our friend back with some old school Cantonese fare. Pan-fried medallions with birds' nest (琵琶燕窩餅) - one of my old favorites, made with egg white, crab meat, and birds' nest. We joked that they looked like madeleines, and that we should probably bring some madeleine molds to the chef so that he could make them in the same shape... Love the bouncy texture and the savory flavors of the crab meat, enhanced by the bits of finely diced ham. Crystal king prawn (玻璃大蝦球) - this is hands down the best version I have tasted in town, and the largest in terms of size. Love the texture of this, too. There's no nasty flavor coming from baking soda here, like you'll find at some other places in town. Stir-fried tripe with mixed vegetables (七彩炒肚尖) - one of my favorite dishes here. Tonight we didn't let the dish get cold with our incessant picture-snapping, so the wok hei (鑊氣) was still pretty much in full force by the time I had my first mouthful. Someone commented that the dish tasted a little sweet tonight - which was the same comment I heard from another friend on my last visit - but I don't have an issue with this. The best thing, though, was that the chef remembered our request for more Indian almonds (欖仁) from prior visits, and provided an extra bowl of it. These were so fragrant and delicious after frying. Traditional Buddha jumps over the wall (古法佛跳牆) - we were supposed to get the braised turtle but, alas, the turtle didn't get itself a visa... so we had to make do with this instead... which I would have preferred, anyway. Ah! The familiar plate with all the braised goodies... I made sure to scoop out from the pot anything I felt was missing, since the waiters usually don't bother to make sure everyone has pork belly or bamboo shoots. The one disappointment today was the sea cucumber. The chef used a large spiny sea cucumber tonight, and I only got a small piece... While everyone was busy slurping things up from the plate, I patiently waited until the waiters brought us bowls of steamed rice... so I could make sure that all the amazingly delicious, collagen-filled sauce could be soaked up. If you don't know what "lip-smacking good" means, you will after having tasted this dish. Steamed humpback grouper (清蒸海老鼠斑) - very, very good... and a nice change from the sole that we always seem to get here. Sweet and sour pork with pineapple (菠蘿古老肉) - also very, very good. The batter is still very crisp. Choy sum in superior stock (上湯菜心) - even the veg here is better. Fried glutinous rice with preserved meats (生炒糯米飯) - yeah, baby! It's winter and the fried glutinous rice is available. Wonderful, deep flavors with all the preserved sausages. And that amazing wok hei (鑊氣) again... We really do need to tell the chef not to be so stingy with the rice next time... Someone next to me had a third helping... Ahem! Red bean purée with aged mandarin peel (陳皮紅豆沙) - beautiful and rich, but I still have problems handling the sandy texture as it scrapes my tongue. 2000 Henri Giraud Fût de Chêne Collection - nice and caramelized nose, yeasty, toasty. Rich on the palate, too. Jacques Selosse Les Carelles, dégorgée à 10 Avril 2013 - fragrant nose, floral and almost perfume-like. This was more elegant. Initially flatter on the palate compared to the Giraud. Dry on the palate with a little ripeness. 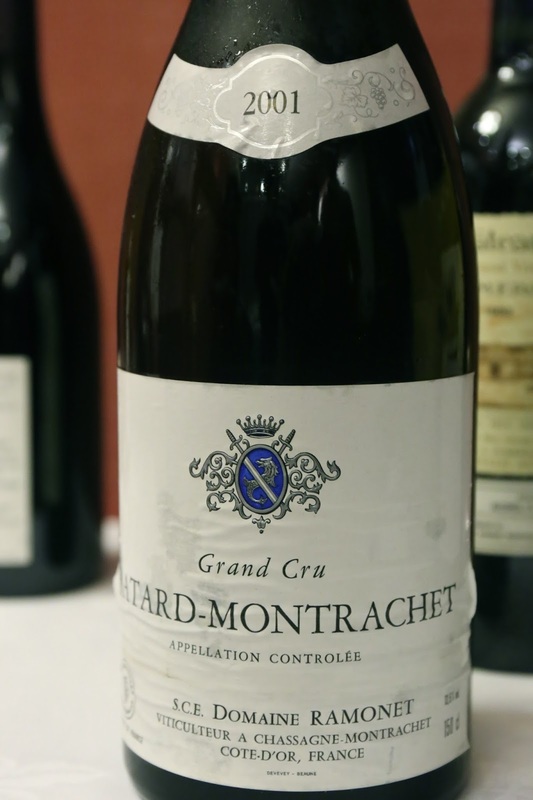 2001 Ramonet Bâtard-Montrachet en magnum - nose was initially a little toasty, then with time became buttery, with marmalade notes. Palate was ripe at first but remained dry. Much later on the nose showed plenty of lemon and toasty corn. 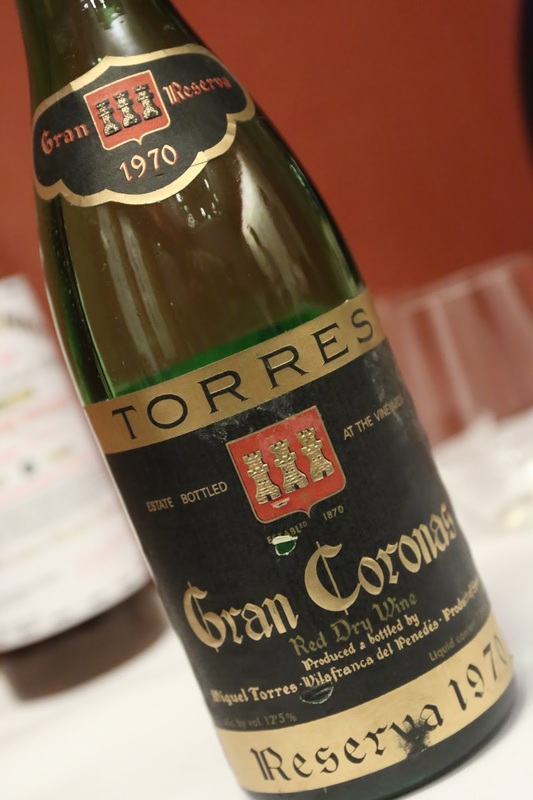 1970 Torres Gran Coronas Reserva - a little minty with nice fruit. A little acidic. 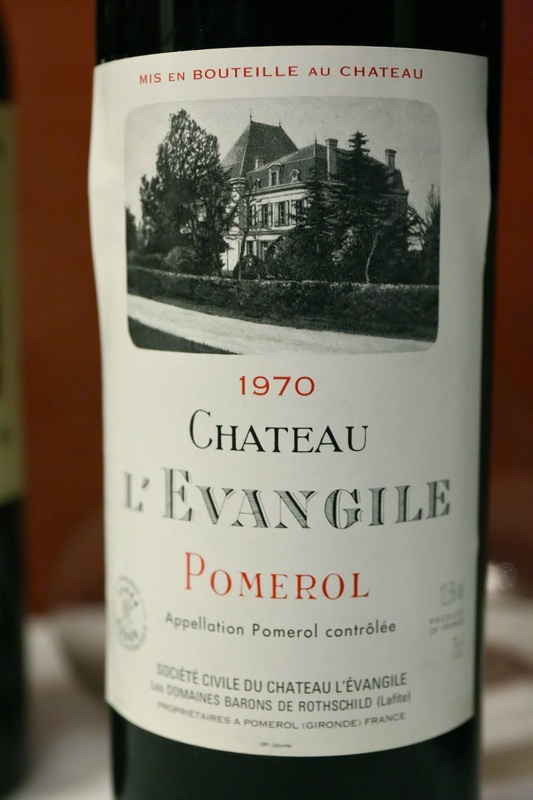 1970 L'Evangile - a little medicinal, smoky, still some fruit here, with a little forest notes and minty. 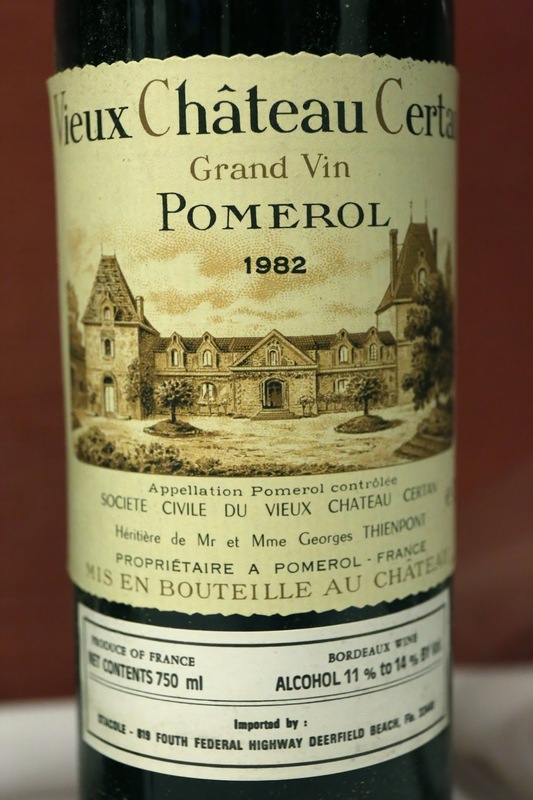 1982 Vieux Château Certan - cedar and woody notes, some sweet fruit, smoky with pencil lead. Later on nose turned medicinal. 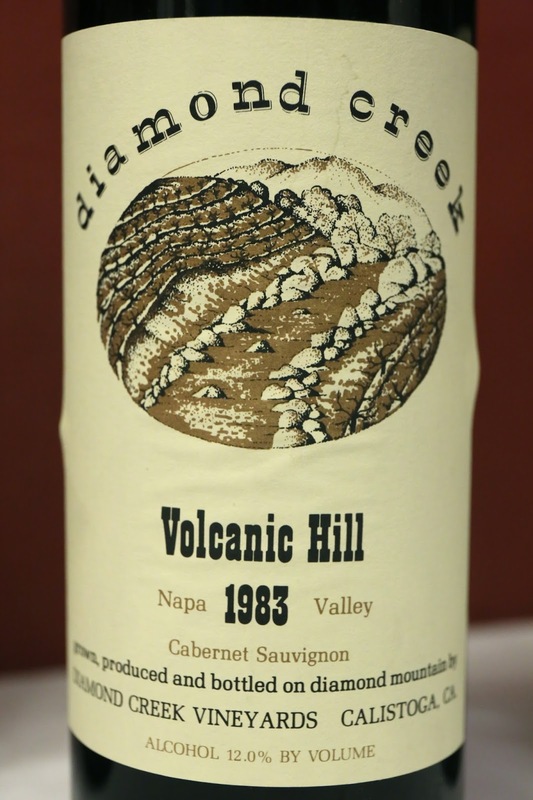 1983 Diamond Creek Volcanic Hill - a bit medicinal and bretty, minty, a little farmy and smoky. Acidity was surprisingly high. Marco Sara Mùfe di Piculit - very grapey and raisiny, honey, grass jelly (仙草), nutty, and a little acetone. Alcohol was a little sharp here. This was another excellent meal executed by the chef, and there were smiles all around. I hope our friend enjoyed this homecoming.